The classes taught at Flashback Martial Arts can provide you with truly life changing skills. Whether your goal is to compete, get in shape, self-defense, or just have fun – our classes will ensure you can reach all of them! We provide a large number of day and evening classes. If you don't find a class during a time you would like to train, please contact our office manager. New classes are started as demand for them grow. Join us today! It's not uncommon for new students to have questions before going to their first few classes. We've tried to list some of the things you will see and experience as a new student so you can be prepared both mentally and physically. We are a group of dedicated martial artists based in Appleton, WI. Our highly experienced staff can provide you with truly life changing skills. 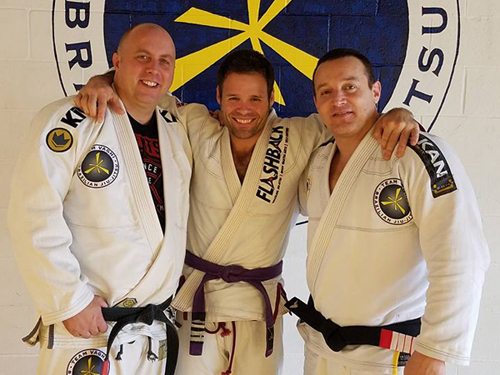 Whether your goal is to compete in Mixed Martial Arts (MMA), Brazilian Jiu-Jitsu (BJJ), Judo, or just learn some realistic self-defense or finding a new and fun way to get in shape – Flashback Martial Arts is the place for you! Individual programs START AT JUST $60/MONTH and you are not limited to the amount of classes you attend in that program. All of our coaches teach and compete purely to share their knowledge and the martial art lifestyle. We keep it fun yet challenging and want to make sure training is affordable to everyone. Discounts are offered for families and students enrolled in multiple programs. 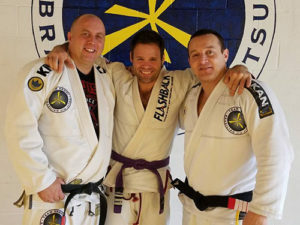 Classes are offered day and evening under the guidance of experienced, high-level black belts and a cadre of highly qualified assistance instructors. Our staff is among the most experienced you will find in Wisconsin. Read through our website to learn more about our team and our classes. We also encourage you to stop in for a ONE WEEK FREE TRIAL PERIOD or a FREE INTRODUCTORY LESSON. During the FREE trial period you can train as often as you like in all of the classes we offer. Visit our ‘Get Started‘ page to learn what you can expect and the ‘FAQ‘ page to answer frequently asked questions. We hope to see you soon! CLICK “PAY NOW” BUTTON BELOW TO PAY FOR THE RODRIGO VAGHI SEMINAR, THANK YOU TEAM! HOPE TO SEE YOU ALL THERE! For additional news and information about Flashback Martial Arts, please visit our Facebook page www.facebook.com/FlashbackBJJ or stop in and visit us at 2310 W College Ave, Suite G in Appleton, WI. Call us at 920-205-8118. All new members are offered a one week free trial period!